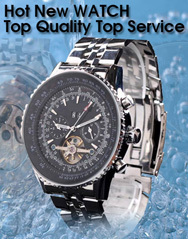 Watch It All About is a watch review site and blog dedicated to affordable watches. We try to find and review the best watches available under £500 - ones which offer the best value for money, or the highest specs for the least amount of money. LT Watch Gallery - We deal with Lovely Timepieces... Pre-owned, Vintage and New watches at affordable prices. Watches that fit your wrist and you'll always feel at ease.